This blog post is probably one of the easiest DIY fashion posts I've done (except for my doily clutch) and was inspired by an image that popped up in my instagram feed. Active members on social media may notice the increase of second hand fashions sellers popping up on places such as facebook and instagram. This is a great way to reach out to a worldwide audience of buyers, by a simple picture upload. The more followers one gets, the more reach in potential sales. 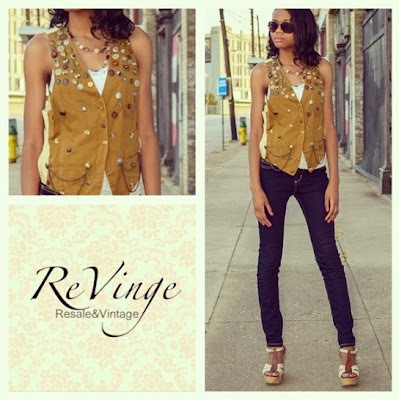 I follow a few second hand fashion sellers on instagram, and one of which is revingeboutique (Resale + Vintage = ReVinge) based in Louisiana, selling a variety "gently used clothing, shoes, accessories, vintage looks, and upcycled fashion". The particular image that popped up in my instagram feed, the Crazy Button Vest sparked an inspiration to make my own. Brittny, ReVinge Boutique's store owner purchased the vest as it was from a thrift store, it sold via her online store for $15 (bargain!). An easy, cheap yet effective little project, don't you think? Recycled buttons are so easy to find in thrift stores, there's really need to buy new. I don't have a photograph wearing the completed piece yet, because it does not fit over my pregnant belly! Its fun adding buttons to clothes and accessories, reminds me a little of the Pearly Kings and Queens of London. 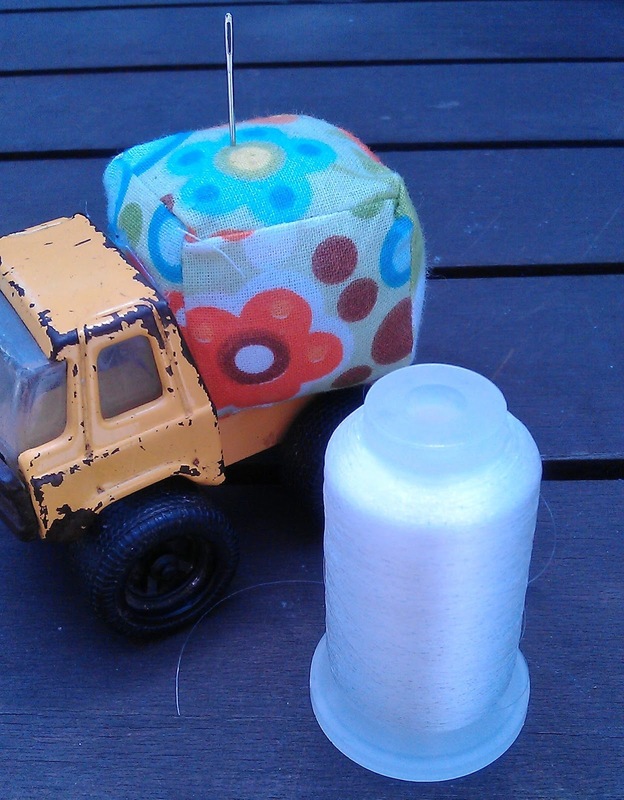 Readers, I'll be back with Recycled Fashion Finds link up next week. What makes this really cool is that you used invisible thread. A very modern take on a pearly queen. Love a waistcoat. Love this idea. Wouldn't it be cool with all silver buttons sewed on really thickly? Note to self - look out for black waistcoat and shiny silver buttons.